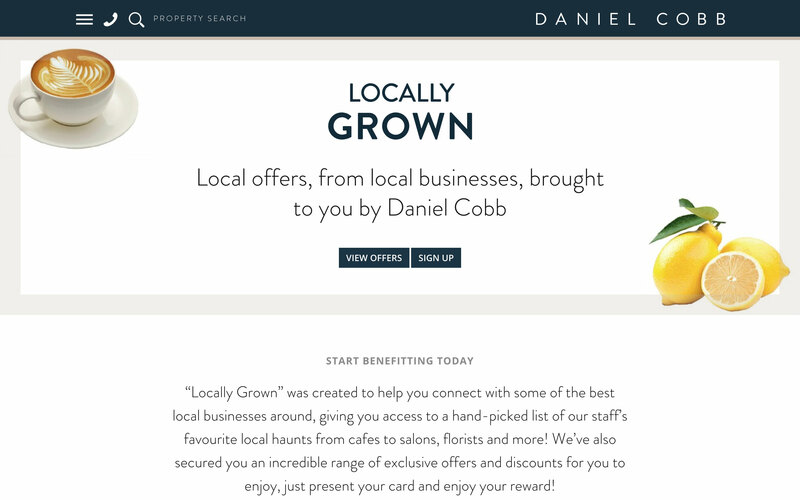 A detailed brief, a clear understanding of goals and KPIs, excellent creative work and data capture best practices made the Daniel Cobb website an instant but persistent success. 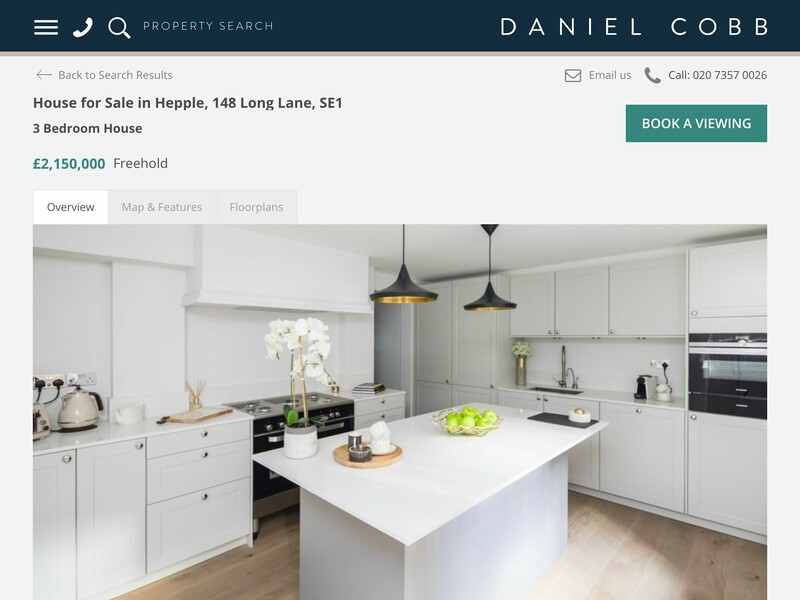 ‍Starberry created for Daniel Cobb an award-winning website that became somewhat of a reference in the property industry, just like the brief wanted it to be the Airbnb of estate agents websites. 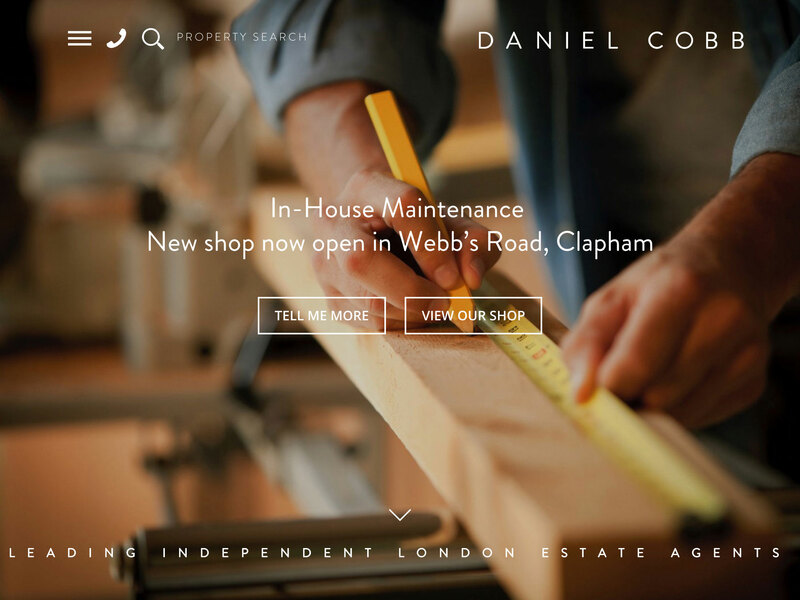 The website continues to stand the test of time as it helps Daniel Cobb cement its leading position in the core areas they cover and expand into new and exciting territories. 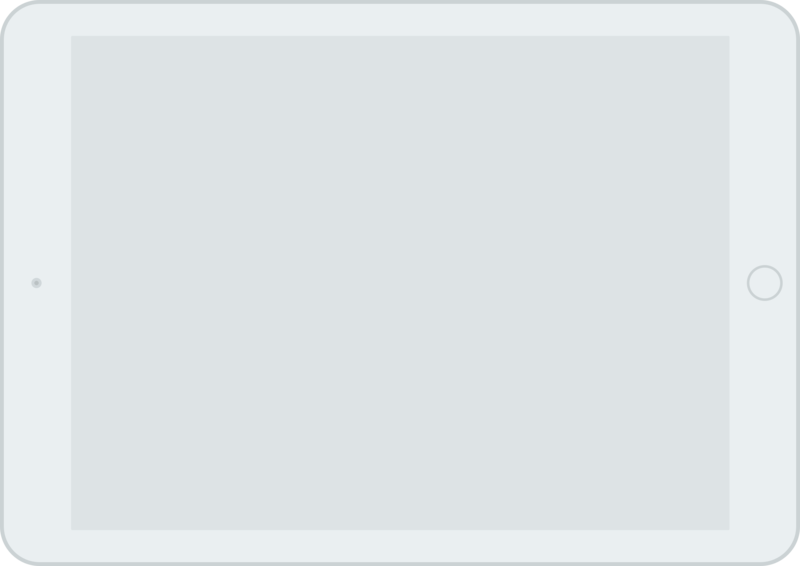 I can not recommend the Starberry team highly enough. They are an absolute joy to work with. 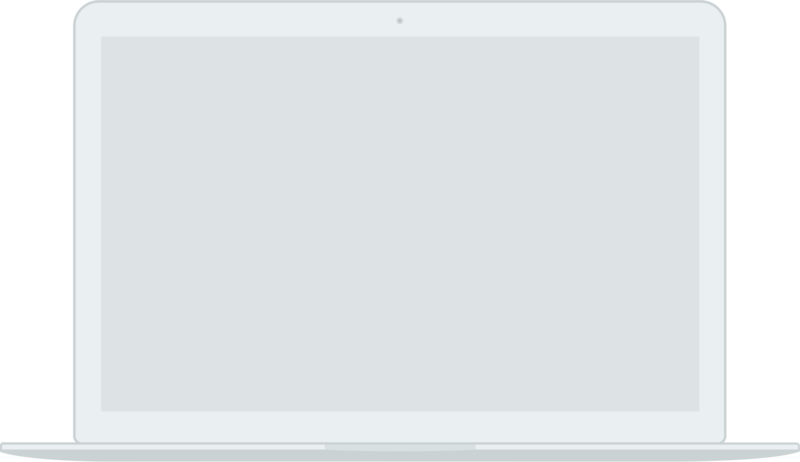 Dynamic, efficient and creative. Everything you want from a marketing agency.  I have particularly enjoyed working with them on our website development, SEO and Content marketing planning. They are a team who are ahead of the curve and clearly thought leaders in the industry. 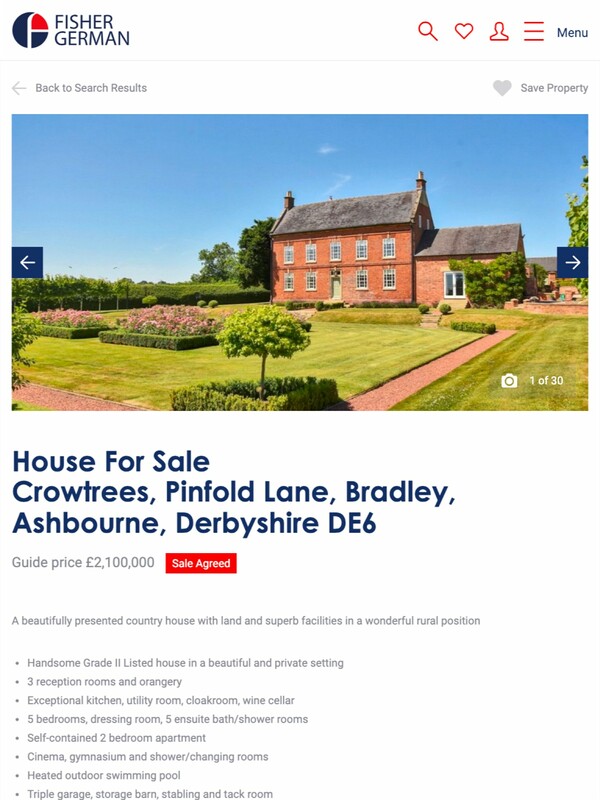 Daniel Cobb is a truly independent family-run estate agency, built on family values of honesty, support and trust which are guiding the direction, growth and culture of the firm to this day. 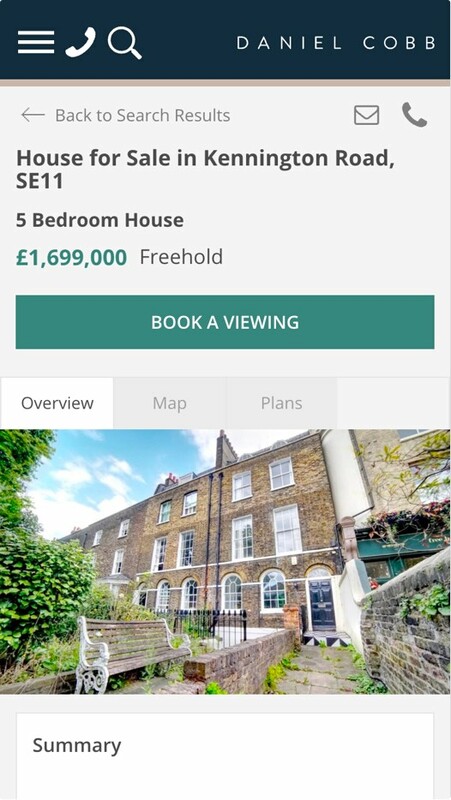 At our first meeting, director George Cobb set us a challenge; “If Apple and Airbnb were to design an estate agency website what would it look like?” – No pressure then! He supplied an excellent detailed brief from the outset and worked closely with our project team. Together we researched requirements, analysed the competitive playing field, defined functionality, costed and planned the complete programme of deliverables. Thanks to the detailed brief and the collaborative discovery process, we understood our goals and the key success metrics for the users and the business from the start. Carefully thought-out content architecture, webtrees, keyword strategy and SEO best practises were developed upfront, which facilitated the complete testing of customer journeys on desktops, tablets and mobiles, even before one line of code was developed.  Core data capture points were added clearly throughout the site, giving users the quickest and easiest ways of contacting and instructing Daniel Cobb. The creative work covered the whole range of UX and UI best practices, from the look & feel and tone of voice, to the imagery and functionality. Powerful and emotive lifestyle imagery has been chosen as the single most important element for making the website stand out from the crowd. This style, which has evolved over the years, has become Daniel Cobb’s trademark and is now almost synonymous with its brand image. A real-time cloud based data dashboard giving Daniel Cobb visibility at all times of performance by period, action type, office, property and user. 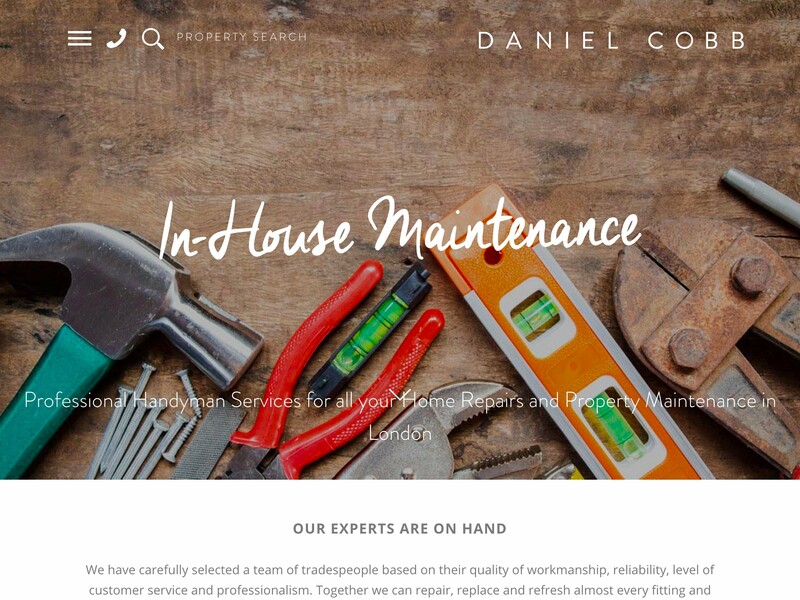 With a combination of well-written and carefully optimised content, powerful imagery and clear actions, the new Daniel Cobb website boasted an incredible increase in monthly users, pageviews and overall leads generated right from the start. 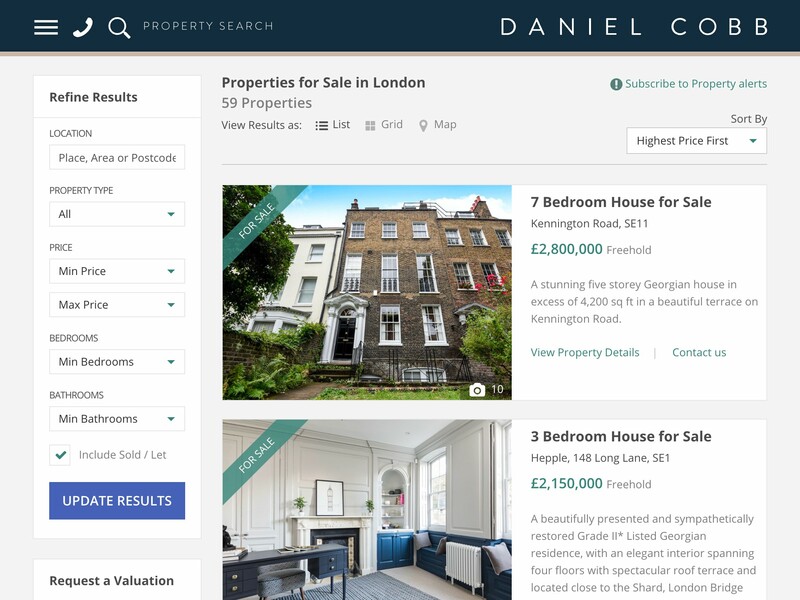 Then a few months after the launch, it won the Gold for ‘Best Website’ at the property industry’s most respected awards, The Sunday Times & The Times Estate Agency of the Year Awards 2015. In its first year, the website registered an amazing 74% uplift in users, 45% increase in pageviews and 29% more visits from Organic Search. Its performance went from strenght to strenght over the years, from growth in mobile traffic and more visibility in search engines to excellent increases in conversions such as 21% more office enquiries in 2018. 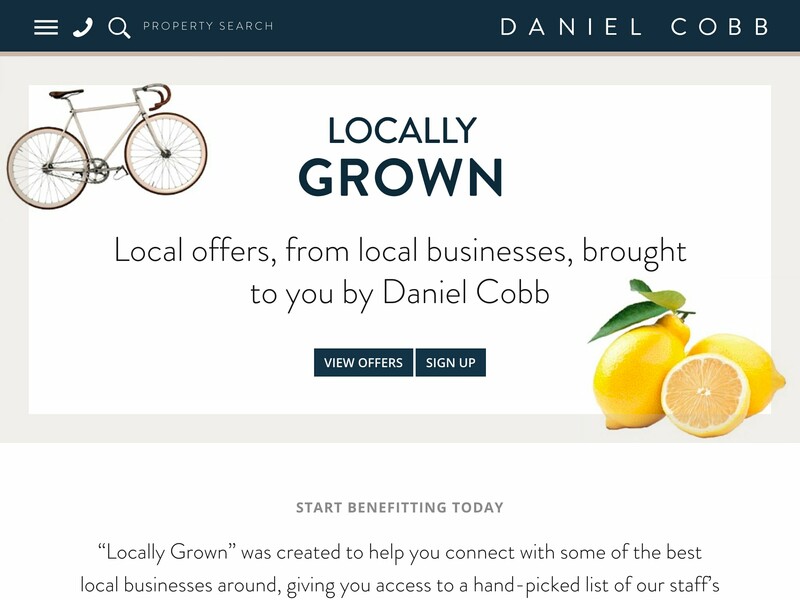 Daniel Cobb continues to collaborate with Starberry on further enhancing the website and the visibility of the brand with engaging and creative content marketing campaigns.